This week's blues show, Saturday, November 11th at 11pm, begins with one of my favorite groups, Deep Rhumba, and also Lucinda Williams, John Scofield, and from New Orleans, another favorite Johnny Adams. You'll also hear later in the show, Jonny Lang who's coming to the Taft Theatre Sunday, January 14th and Anders Osborne. The last set features local musicians no longer with us: Larry Kinley singing "Baby, Baby All the Time" featuring Frank Vincent on the piano and guitarist Cal Collins. And, Jimmy McGary with pianist Ed Moss doing the classic "See See Rider." 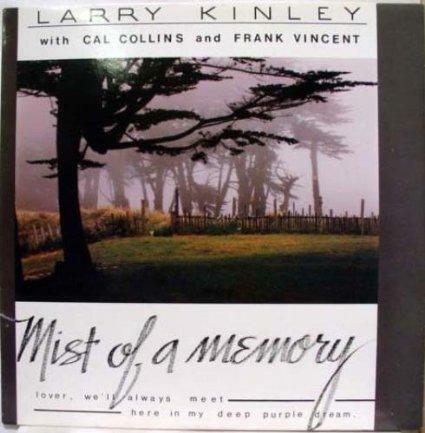 They Can’t Take That Away From Me performed by vocalist Larry Kinley, guitarist Cal Collins and pianist Frank Vincent from the 1989 album Mist of a Memory.